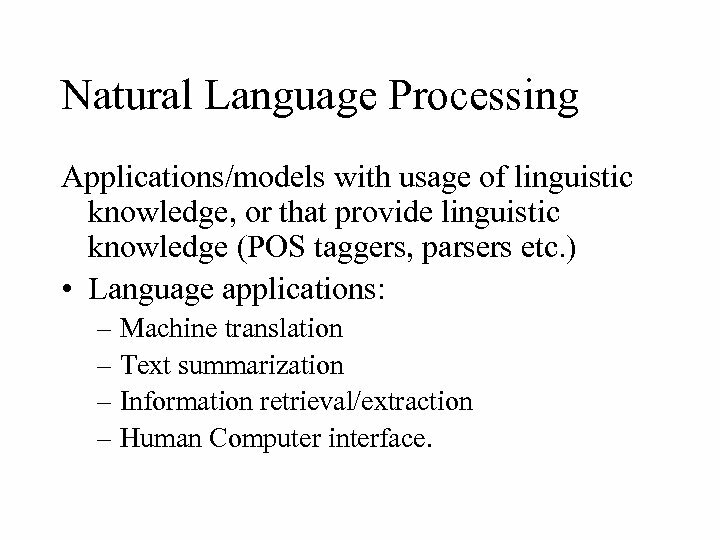 Natural Language Processing Applications/models with usage of linguistic knowledge, or that provide linguistic knowledge (POS taggers, parsers etc. ) 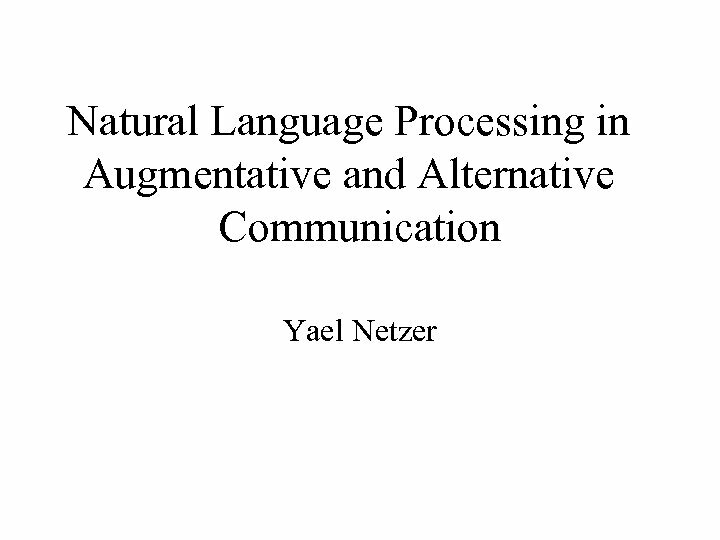 • Language applications: – Machine translation – Text summarization – Information retrieval/extraction – Human Computer interface. 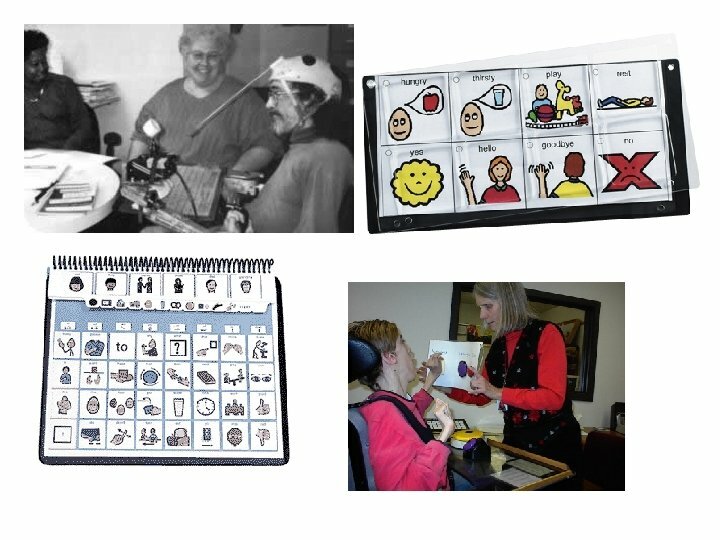 Alternative and Augmentative Communication • AAC Users – Congenital diseases e. g. cerebral palsy – Progressive diseases e. g. ALS Amyotrophic Lateral Sclerosis (Lou Gehrig's Disease) – Trauma e. g. head injury • Cognitive disabilities vs. physical disabilities (each requires different methods and assumptions). 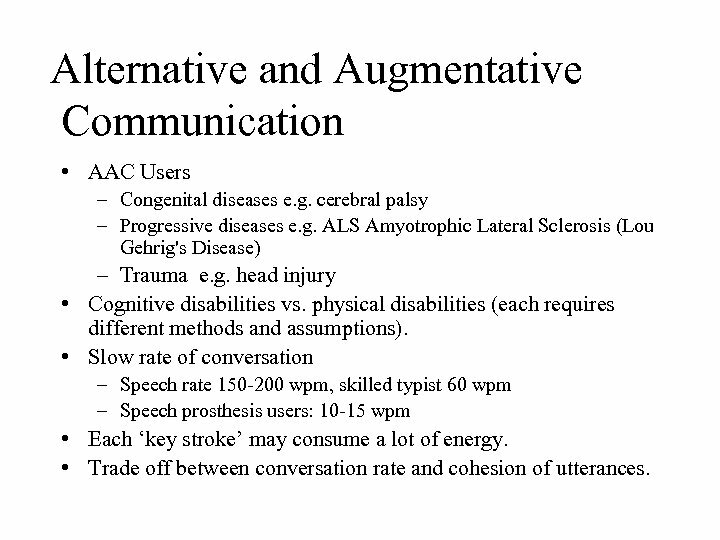 • Slow rate of conversation – Speech rate 150 -200 wpm, skilled typist 60 wpm – Speech prosthesis users: 10 -15 wpm • Each ‘key stroke’ may consume a lot of energy. • Trade off between conversation rate and cohesion of utterances. 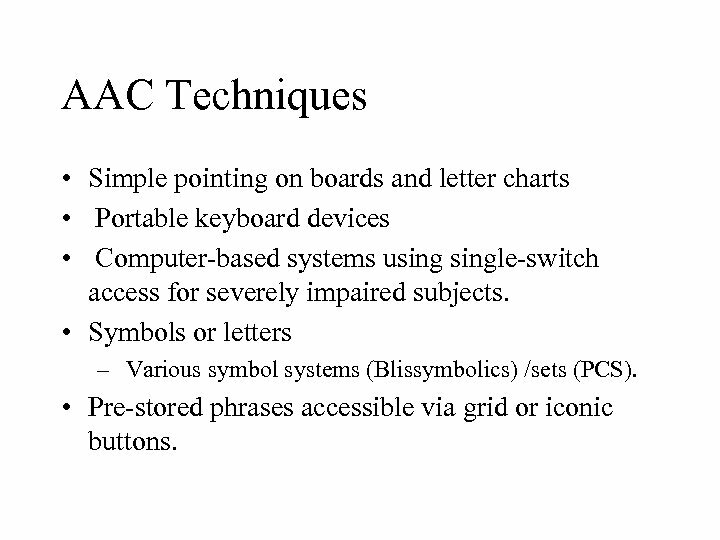 AAC Techniques • Simple pointing on boards and letter charts • Portable keyboard devices • Computer-based systems usingle-switch access for severely impaired subjects. 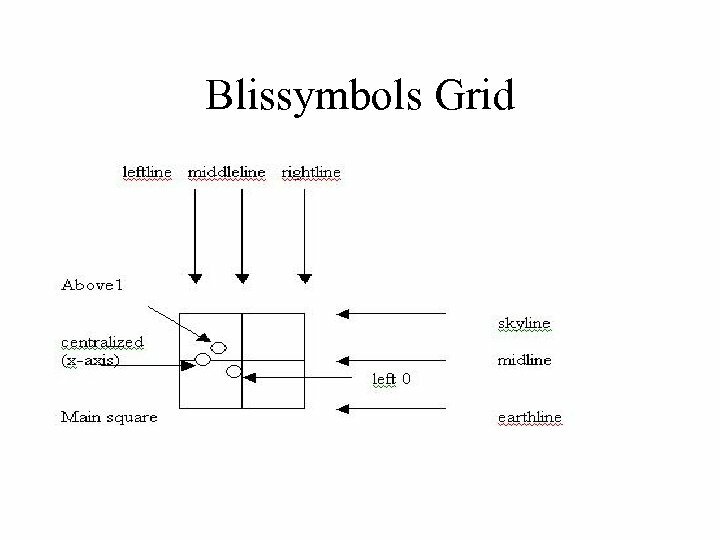 • Symbols or letters – Various symbol systems (Blissymbolics) /sets (PCS). • Pre-stored phrases accessible via grid or iconic buttons. 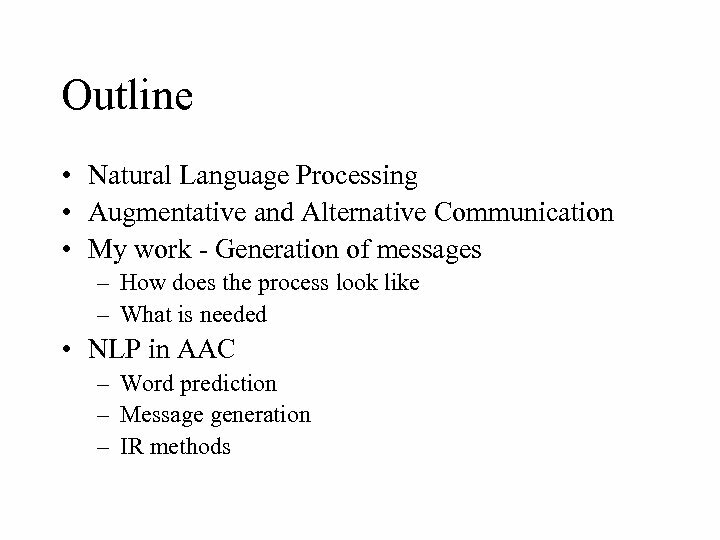 AAC and NLP • Common issues: – Text generation – Speech recognition – Text to speech synthesis – Information retrieval. 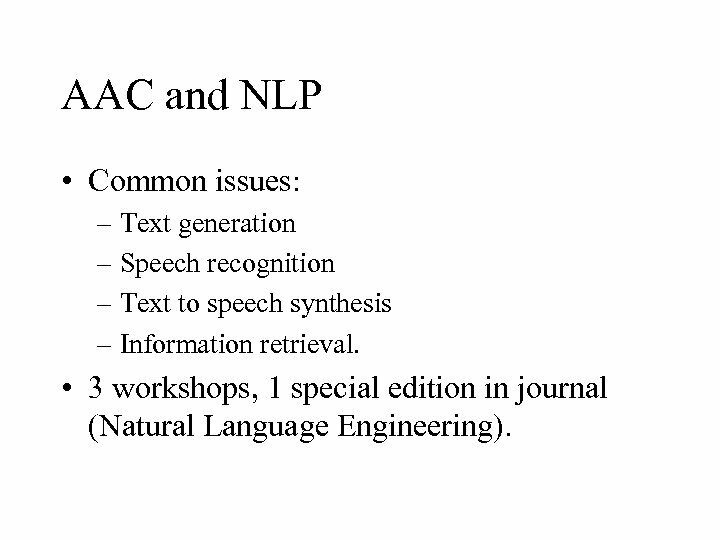 • 3 workshops, 1 special edition in journal (Natural Language Engineering). 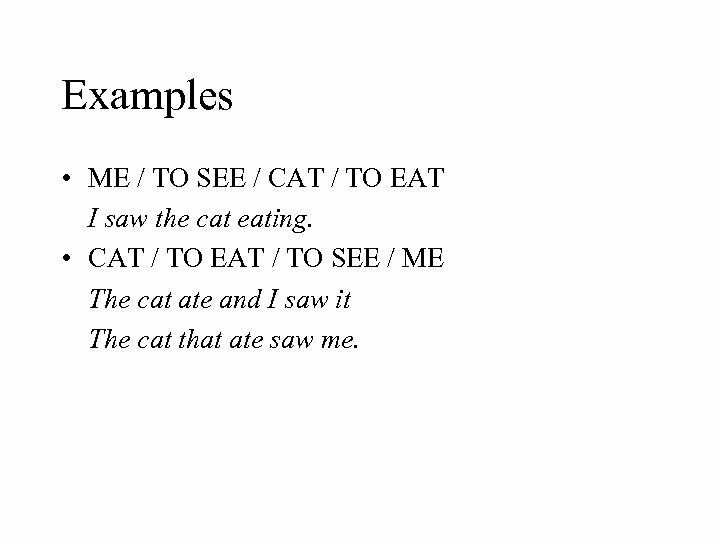 Examples • ME / TO SEE / CAT / TO EAT I saw the cat eating. 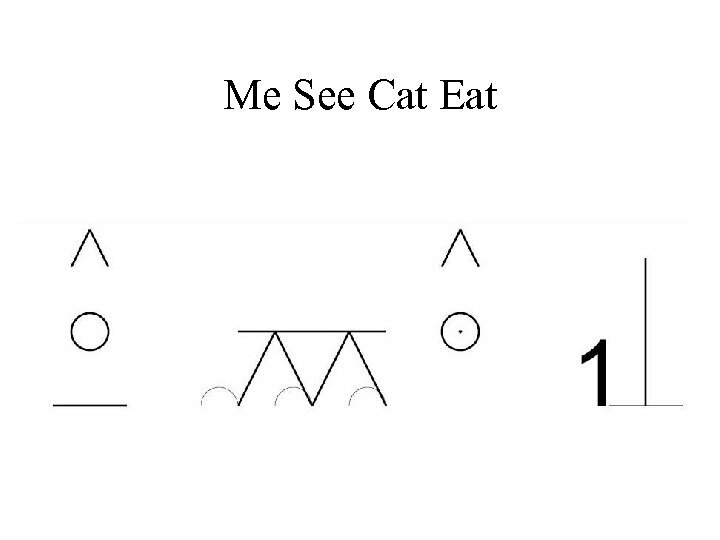 • CAT / TO EAT / TO SEE / ME The cat ate and I saw it The cat that ate saw me. 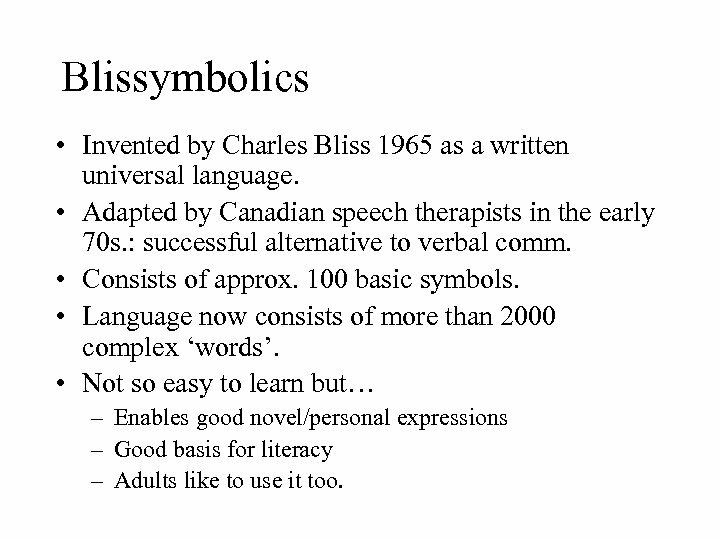 Blissymbolics • Invented by Charles Bliss 1965 as a written universal language. 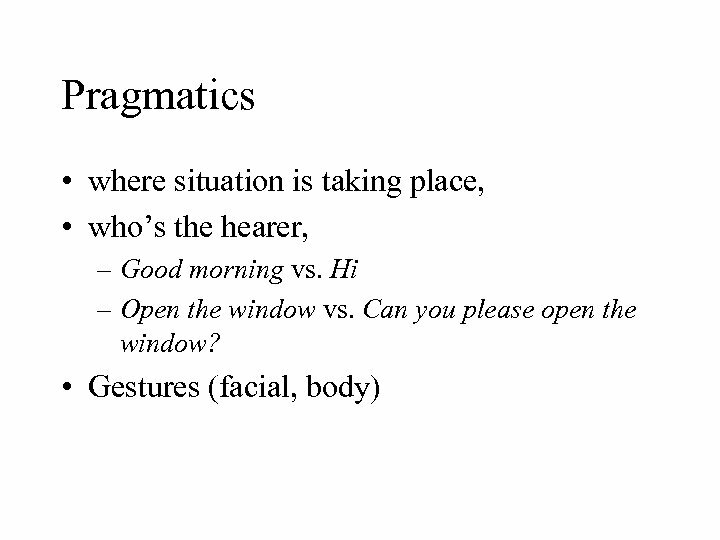 • Adapted by Canadian speech therapists in the early 70 s. : successful alternative to verbal comm. • Consists of approx. 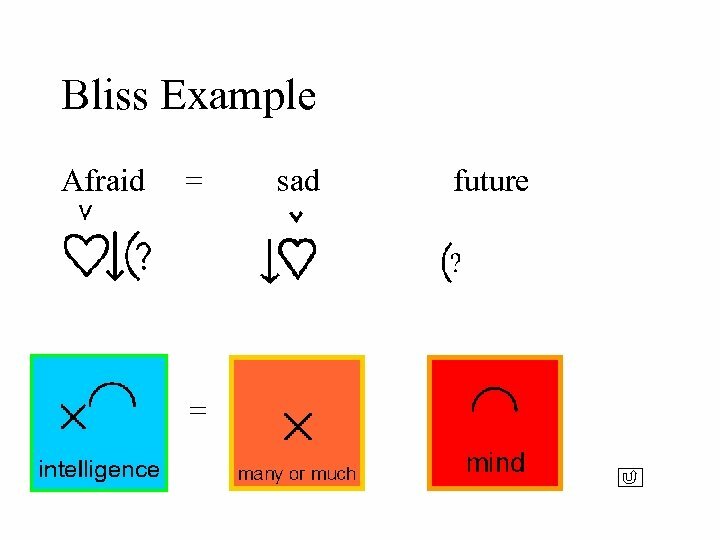 100 basic symbols. • Language now consists of more than 2000 complex ‘words’. • Not so easy to learn but… – Enables good novel/personal expressions – Good basis for literacy – Adults like to use it too. 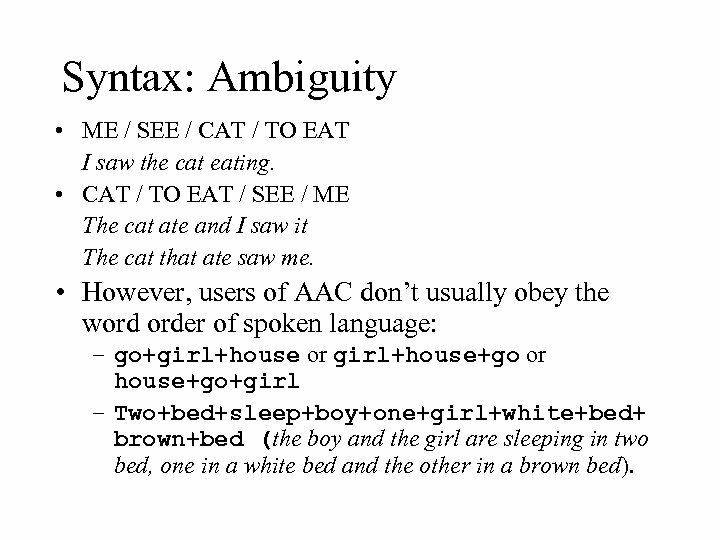 Syntax: Ambiguity • ME / SEE / CAT / TO EAT I saw the cat eating. 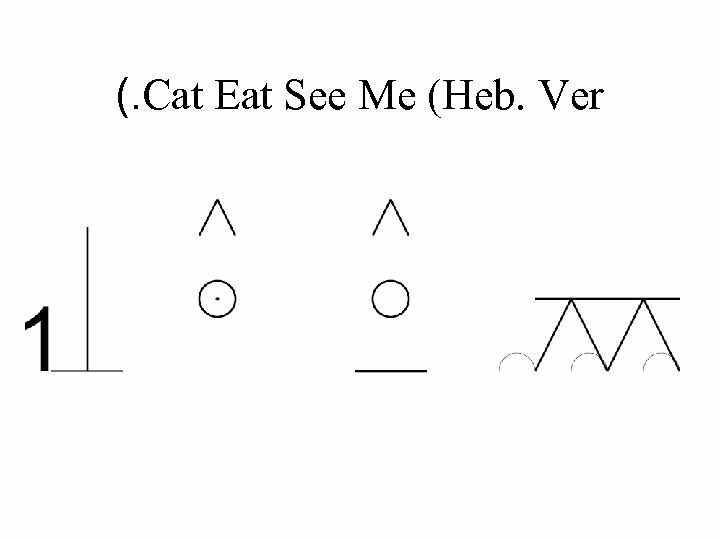 • CAT / TO EAT / SEE / ME The cat ate and I saw it The cat that ate saw me. 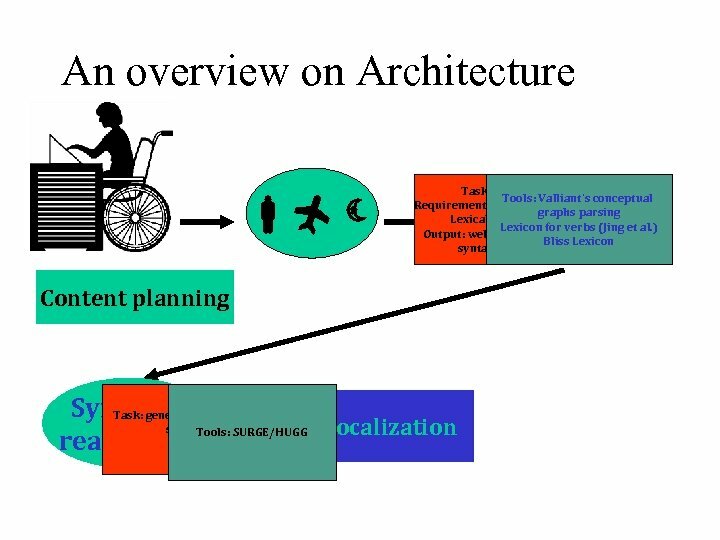 • However, users of AAC don’t usually obey the word order of spoken language: – go+girl+house or girl+house+go or house+go+girl – Two+bed+sleep+boy+one+girl+white+bed+ brown+bed (the boy and the girl are sleeping in two bed, one in a white bed and the other in a brown bed). 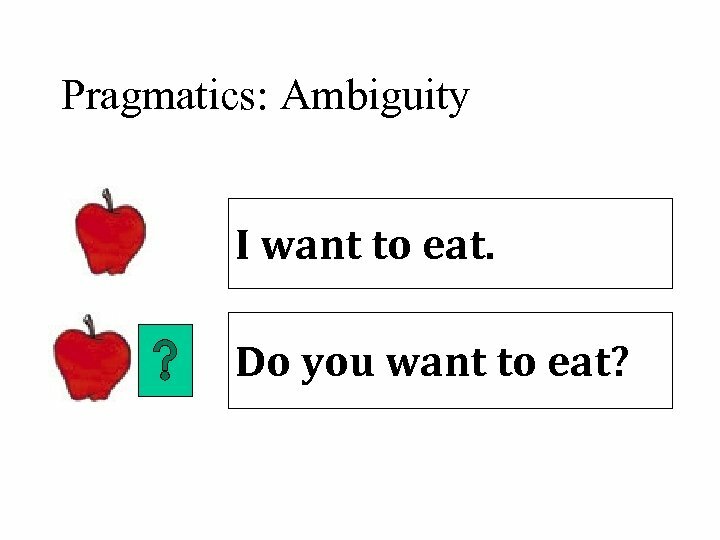 Pragmatics: Ambiguity I want to eat. Do you want to eat? 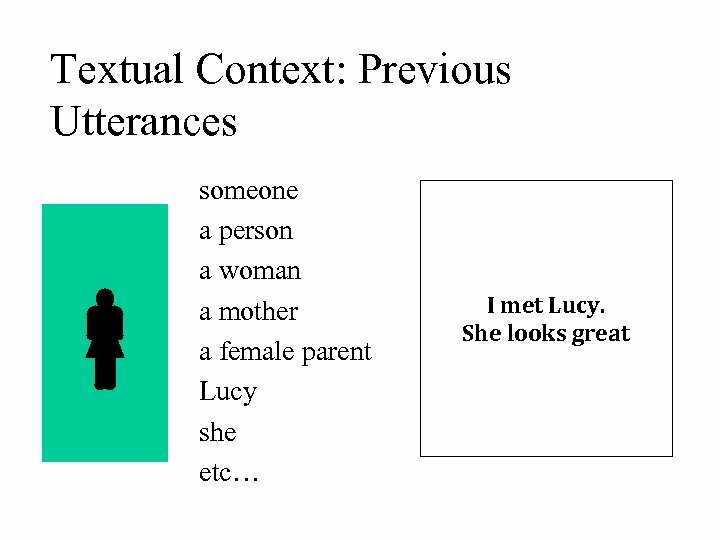 Contextual Resources • What is the context of the things that are said, following what was already said before, referential expressions. 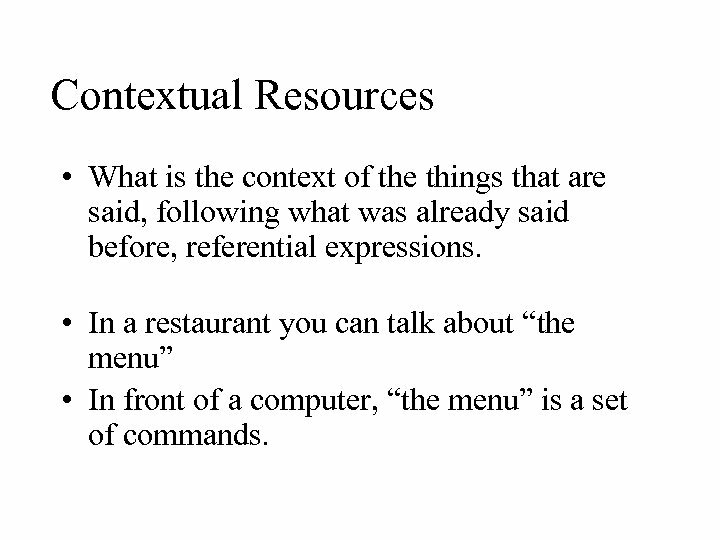 • In a restaurant you can talk about “the menu” • In front of a computer, “the menu” is a set of commands. 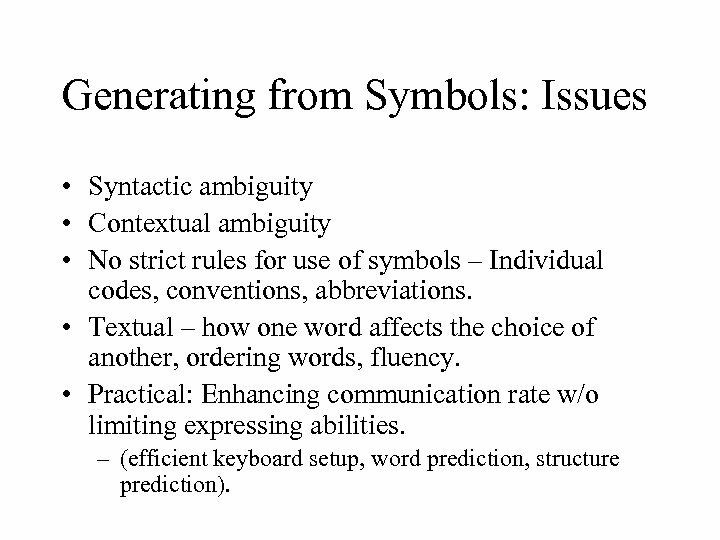 Generating from Symbols: Issues • Syntactic ambiguity • Contextual ambiguity • No strict rules for use of symbols – Individual codes, conventions, abbreviations. 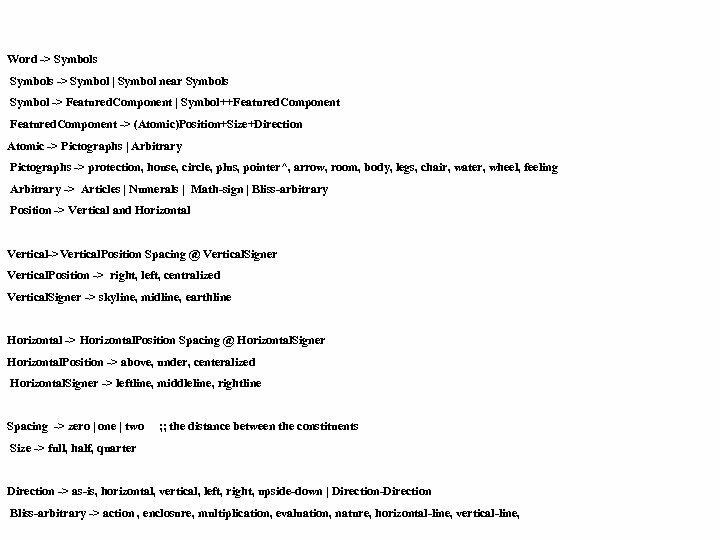 • Textual – how one word affects the choice of another, ordering words, fluency. • Practical: Enhancing communication rate w/o limiting expressing abilities. 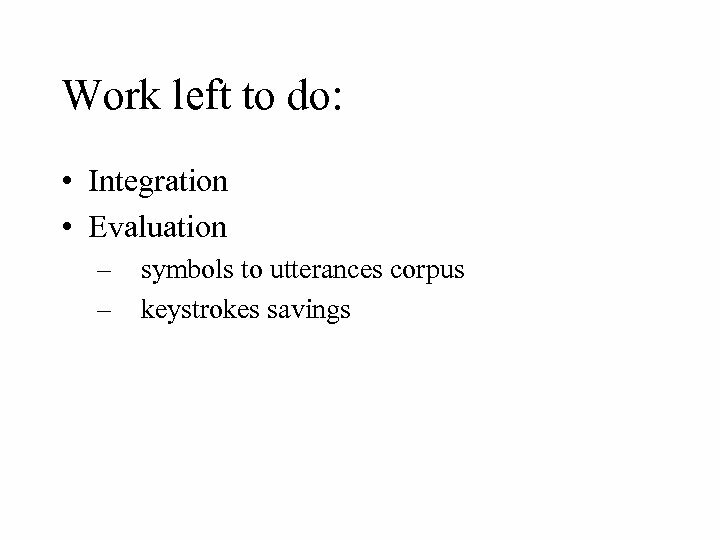 – (efficient keyboard setup, word prediction, structure prediction). 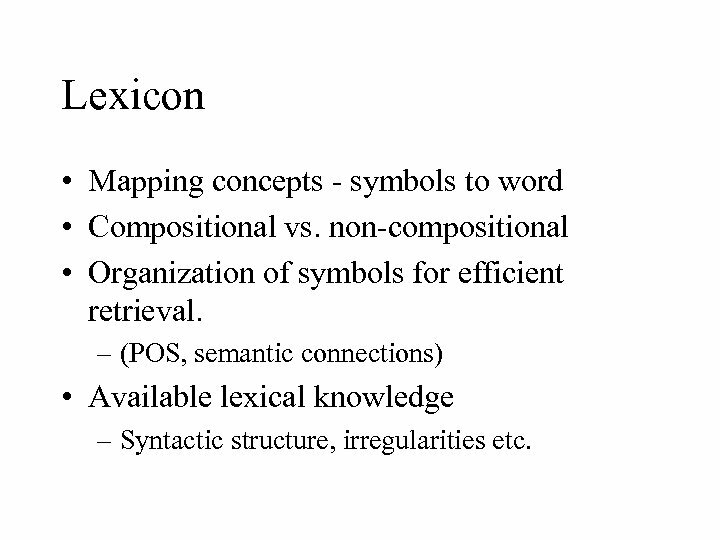 Lexicon • Mapping concepts - symbols to word • Compositional vs. non-compositional • Organization of symbols for efficient retrieval. 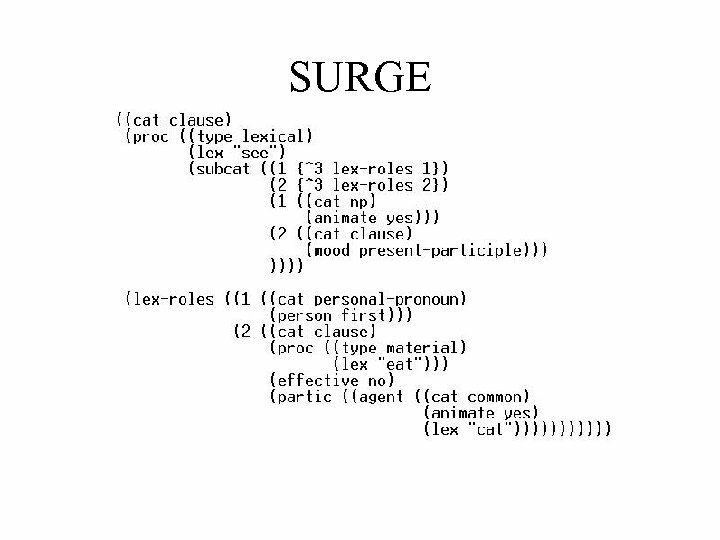 – (POS, semantic connections) • Available lexical knowledge – Syntactic structure, irregularities etc. 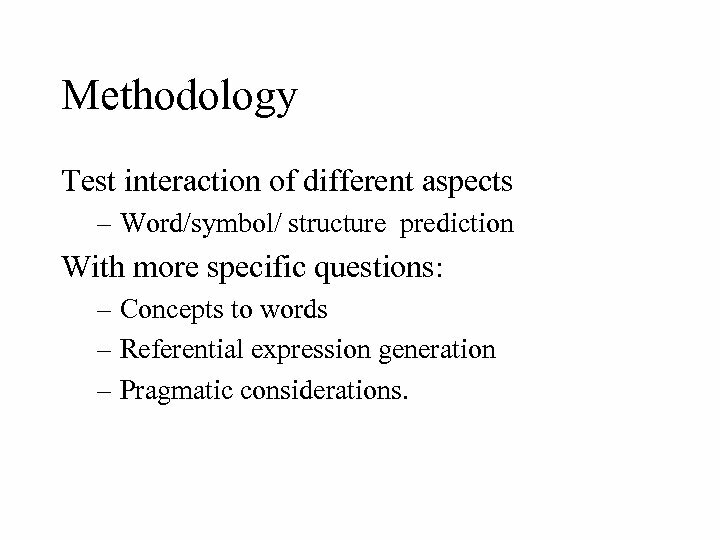 Methodology Test interaction of different aspects – Word/symbol/ structure prediction With more specific questions: – Concepts to words – Referential expression generation – Pragmatic considerations. 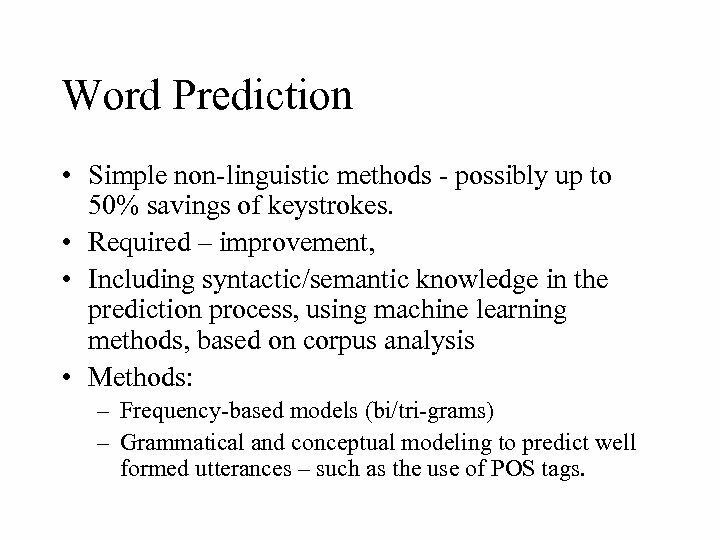 Word Prediction • Simple non-linguistic methods - possibly up to 50% savings of keystrokes. 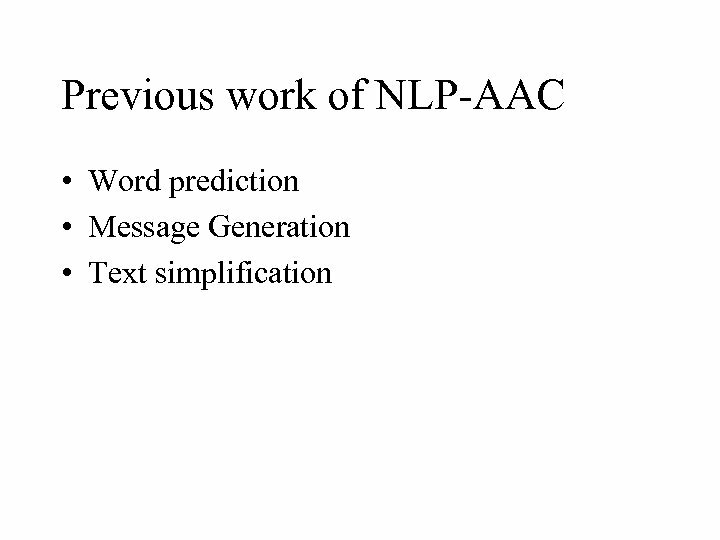 • Required – improvement, • Including syntactic/semantic knowledge in the prediction process, using machine learning methods, based on corpus analysis • Methods: – Frequency-based models (bi/tri-grams) – Grammatical and conceptual modeling to predict well formed utterances – such as the use of POS tags. 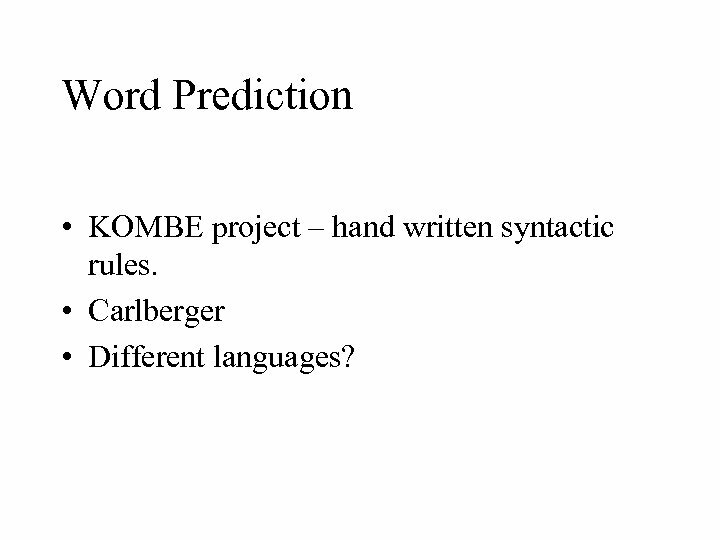 Word Prediction • KOMBE project – hand written syntactic rules. • Carlberger • Different languages? 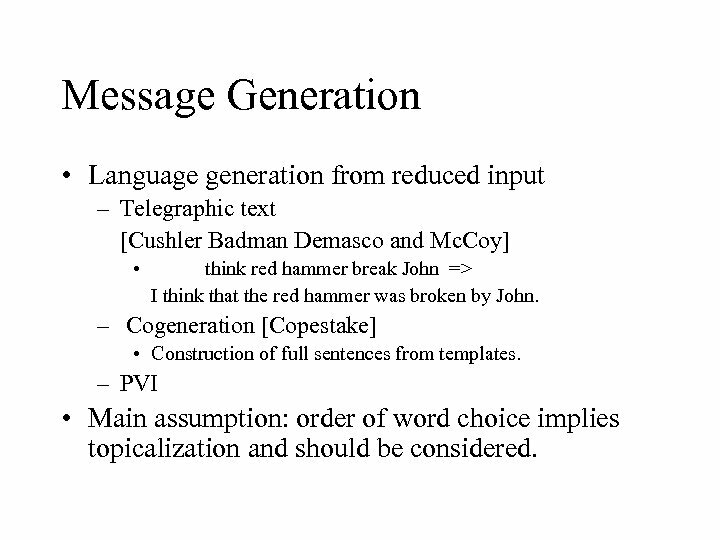 Message Generation • Language generation from reduced input – Telegraphic text [Cushler Badman Demasco and Mc. Coy] • think red hammer break John => I think that the red hammer was broken by John. 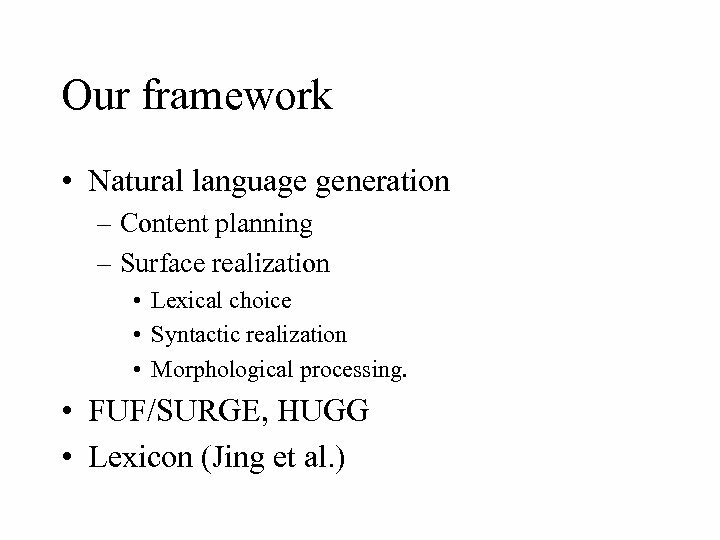 – Cogeneration [Copestake] • Construction of full sentences from templates. 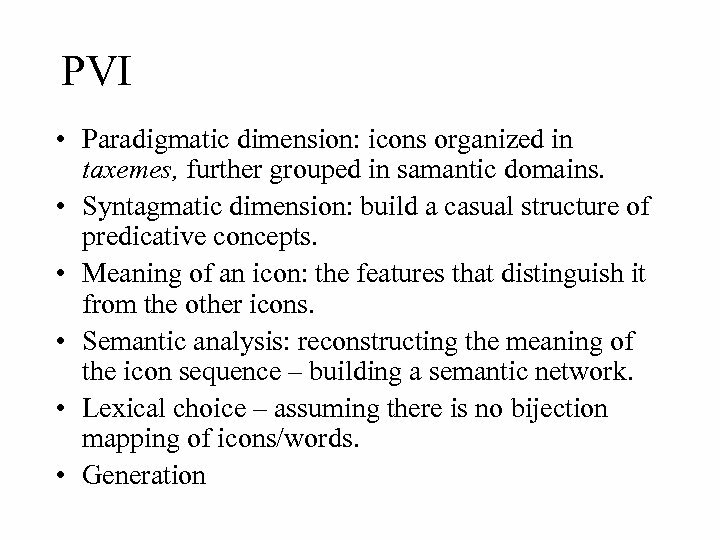 – PVI • Main assumption: order of word choice implies topicalization and should be considered. Cogeneration approach • Situation-based approach. 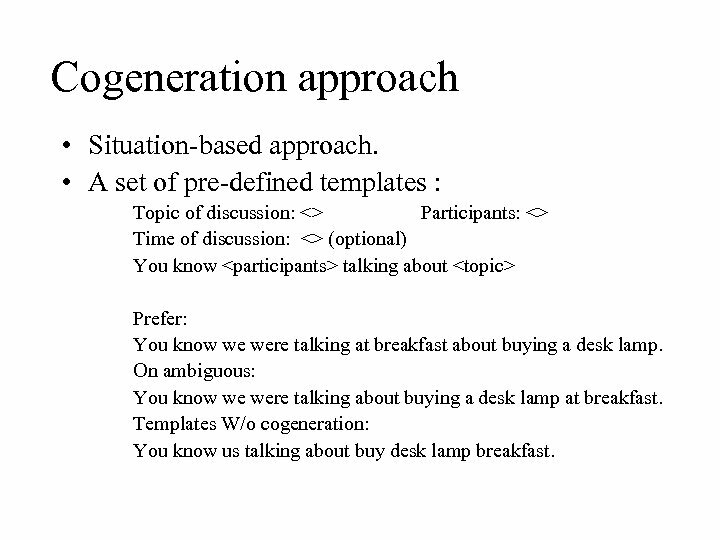 • A set of pre-defined templates : Topic of discussion: <> Participants: <> Time of discussion: <> (optional) You know talking about Prefer: You know we were talking at breakfast about buying a desk lamp. On ambiguous: You know we were talking about buying a desk lamp at breakfast. Templates W/o cogeneration: You know us talking about buy desk lamp breakfast. 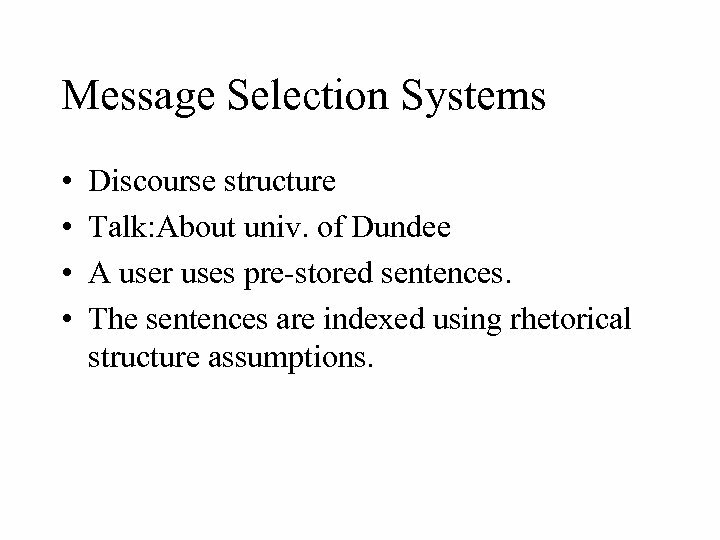 Message Selection Systems • • Discourse structure Talk: About univ. of Dundee A user uses pre-stored sentences. 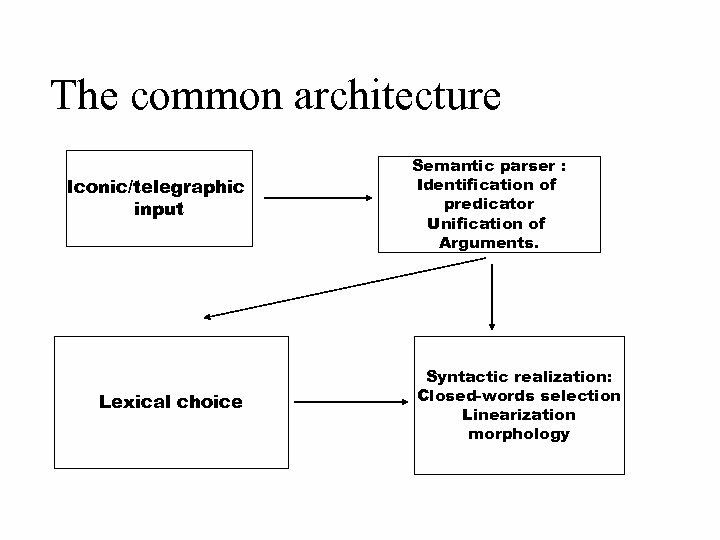 The sentences are indexed using rhetorical structure assumptions. 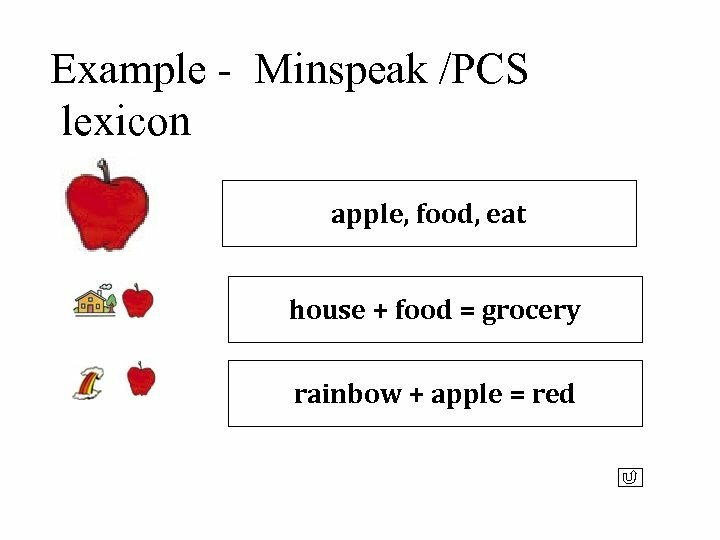 Language Simplification and Language Understanding • PSET project [Carroll et al. ] 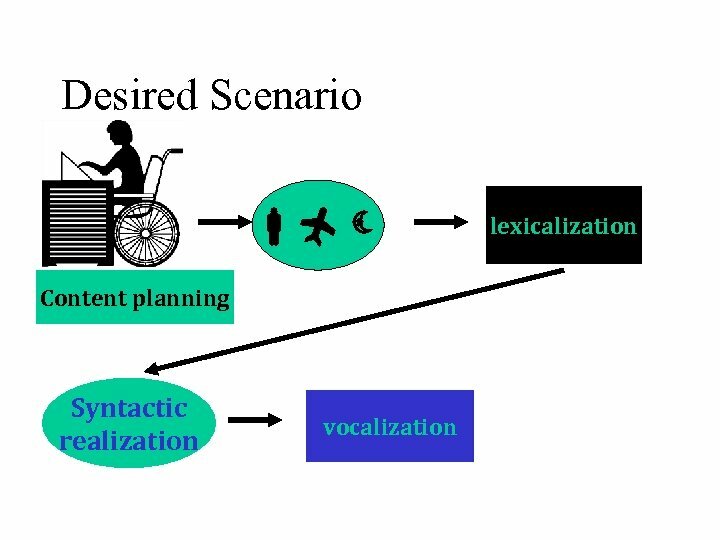 • Intended for aphasic readers – with lexical or syntactic impairments. 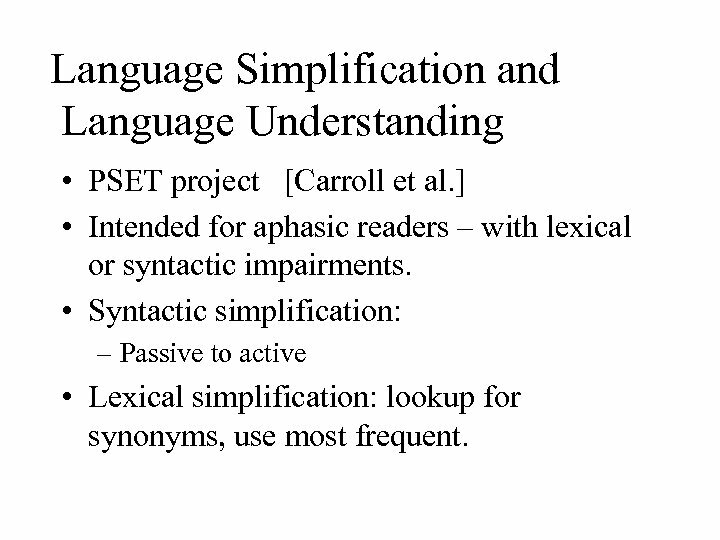 • Syntactic simplification: – Passive to active • Lexical simplification: lookup for synonyms, use most frequent. 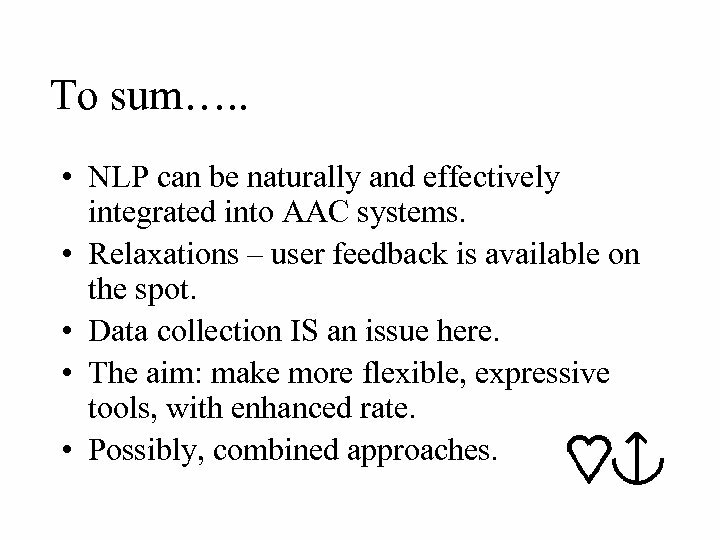 To sum…. . • NLP can be naturally and effectively integrated into AAC systems. • Relaxations – user feedback is available on the spot. • Data collection IS an issue here. • The aim: make more flexible, expressive tools, with enhanced rate. • Possibly, combined approaches.